“It’s likely they’re going to be ‘let go’ and a long-term relationship is going to be cut off very suddenly,” said Rapid Response Network member, Mariela Garcia..
Bay Area community organizers say many undocumented workers and employers are feeling ‘fear’ and ‘panic’ after U.S. Immigration Enforcement agents served 77 businesses audit notices this past week. 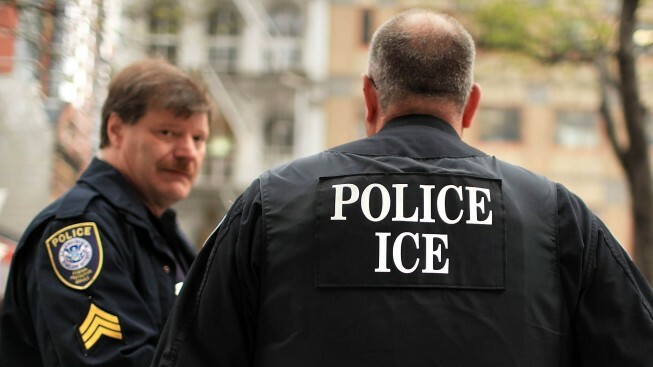 ICE agents served audit notices to businesses in San Francisco, San Jose and Sacramento, allowing each business three days to provide hiring records that prove they are in compliance with the law or face an on-site inspection. Dispatchers taking calls at Sacred Heart Community Services say it’s an emotional time for employers and undocumented employees. According to several calls the Rapid Response Network has received, many businesses have hit their three-day deadline and have produced employee records under the threat of fines or even federal inspections. Although there have been no reports of raids like these, many Network dispatchers say they’re getting calls reporting on ‘detentions’ but it is not known if they’re related to the audits. “Members of our community who are targeted by ICE either in their homes, or leaving their homes and we’re picked up are now in a detention center,” said Rapid Response Network member, Mariela Garcia. NBC Bay Area’s Robert Handa spoke to an undocumented worker over the phone who did not want to be identified but says these audits have caused a lot of stress. Companies like Peterson Dean have confirmed that they’re on the audit list but have refused to give further comments on the issue. Garcia says the audits have not only affected the undocumented workers but the employers as well. “It’s likely they’re going to be ‘let go’ and a long-term relationship is going to be cut off very suddenly,” said Garcia.